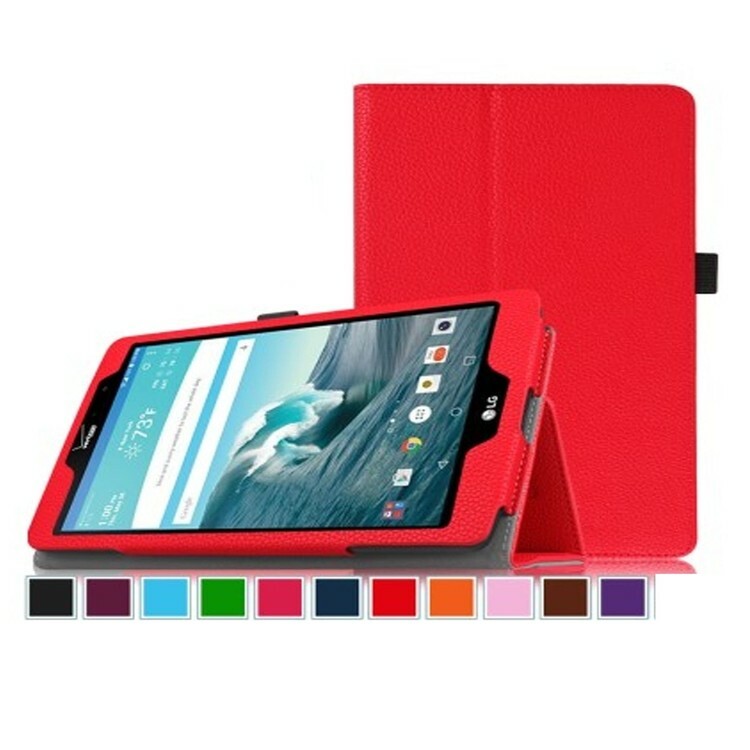 Protect your LG G Pad with this PU leather case at all times! This case sports a simple and classy design made from PU leather, and the interior is lined with non-scratch material so you don't need to worry about any damages. Because the cover is uniquely designed to flip back and transform the case into a comfortable viewing stand, this capability allows the viewer to use the tablet hands-free whatever your position may be without strain. All features of the tablet are accessible without removing it. Watch movies and listen to music clearly with speaker holes! The compact structure of the case offers convenient mobility so you can just grab your tablet and be ready to go knowing it will be protected at all times!